This was my entry for the Physicians Plus “You Get The Gist” contest. The goal was to redo the original song used in their commercial and record yourself performing it. My song and video came in first and won me a sweet Gretsch Black Falcon! 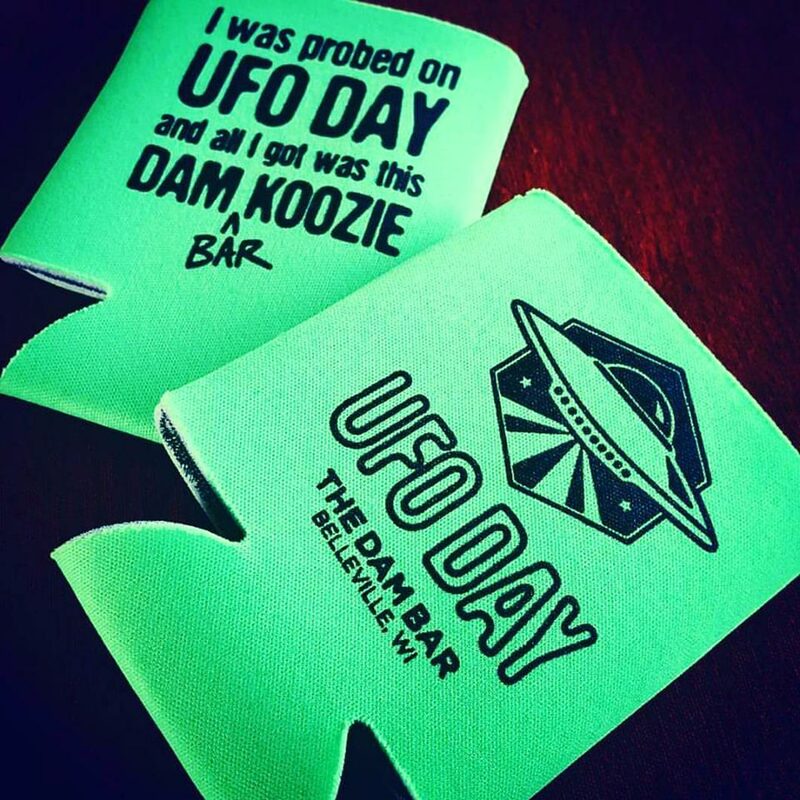 I designed this koozie for the Dam Bar’s UFO Day celebration. I figured it was a great opportunity to bust out my childish humor. 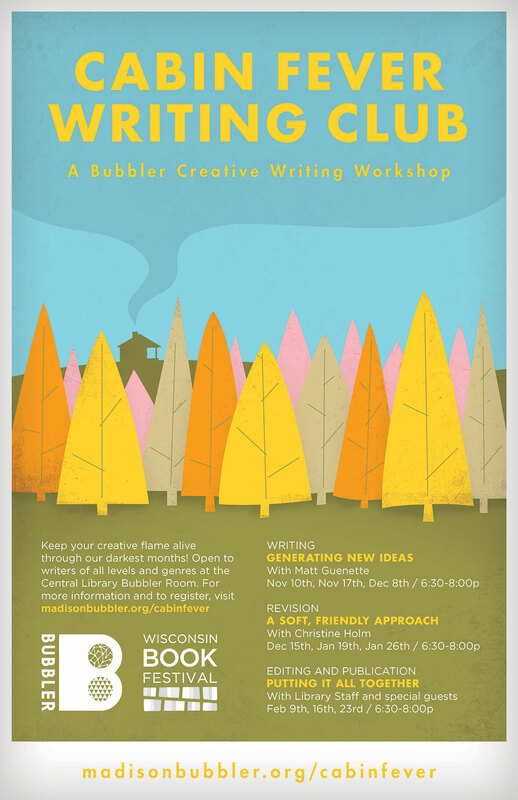 This poster was designed for the Madison Bubbler to showcase their new creative writing workshop—The Cabin Fever Writing Club. They wanted something that was fun, quirky and incorporated the look and feel of the Khaki Scouts from Wes Anderson’s Moonrise Kingdom. 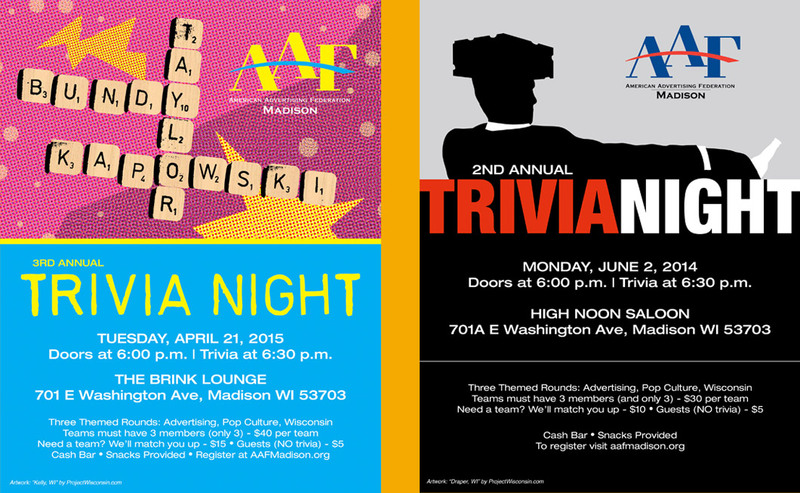 Here are a couple posters I’ve done for AAF Madison’s annual Trivia Night. This is one of the few pieces from my graduating portfolio that I still like. 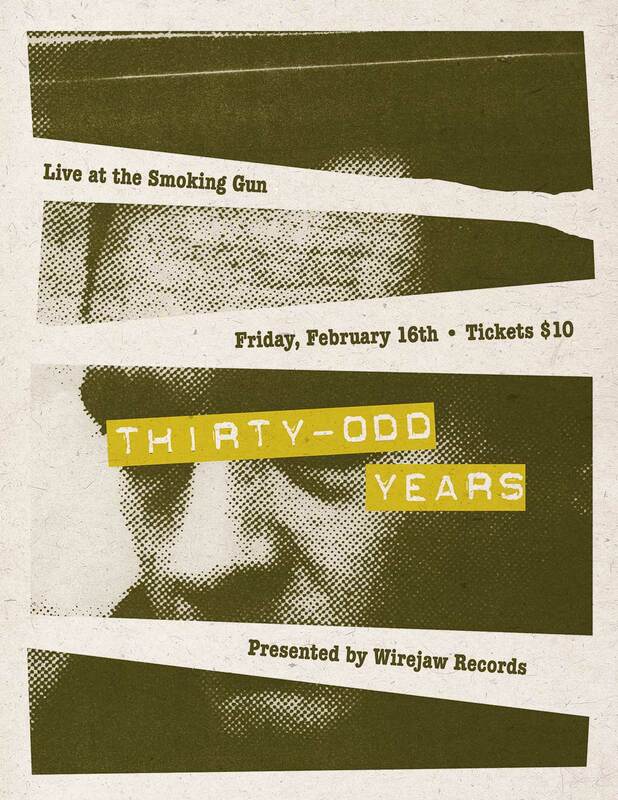 Art Chantry inspired.